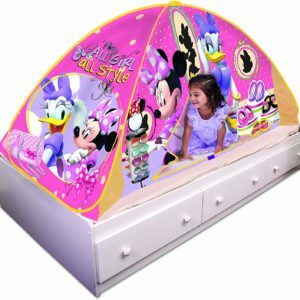 This Disney Minnie Mouse Bed Tent is the perfect spot for sleeping or playing. 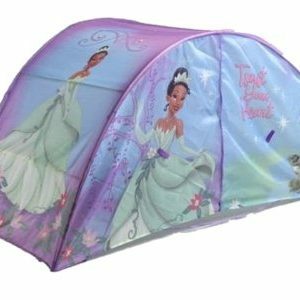 It features images of Minnie Mouse and Daisy Duck in a beautiful purple background. 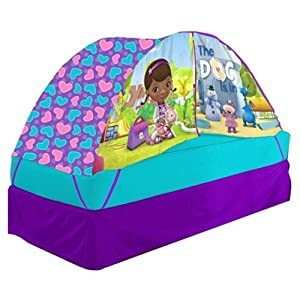 Also, a push light (4 AA batteries required) comes as a bonus with the tent, so that your kid can read or draw when it is dark. 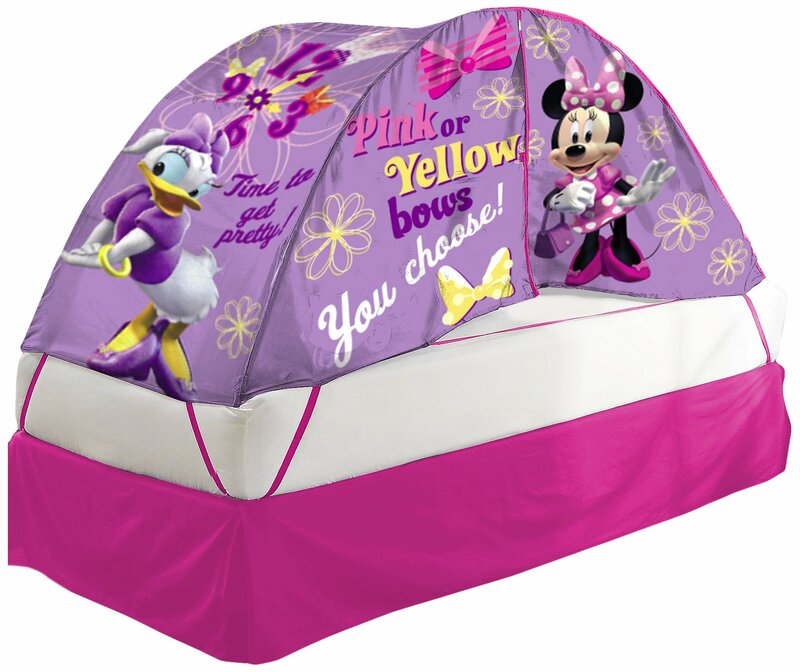 This tent will be a special place to go to and will allow your kid to enjoy an evening of indoor “camping”. 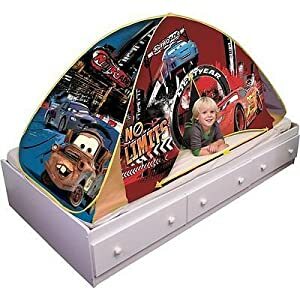 How fun is that ? 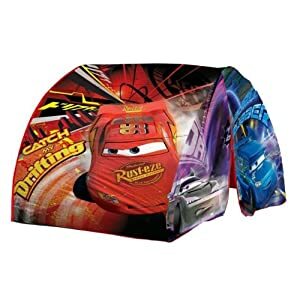 This tent makes a great gift ! 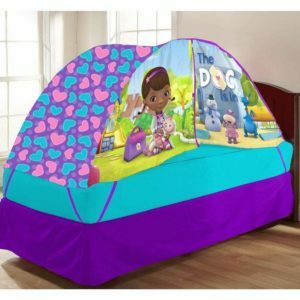 At night, your kid will be able to sleep inside the tent and make the most beautiful dreams. It is very easy to clean, using a damp cloth and mild soap. 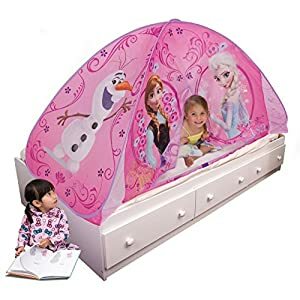 It fits most twin beds and it assembles easily. 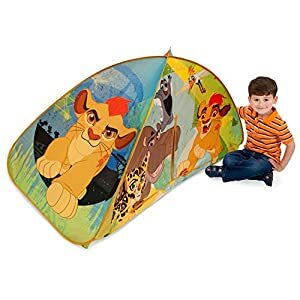 The tent is recommended for ages 2 years and up.